Conversations with students at the University of Virginia. Created in response to the white supremacist attacks in Charlottesville on August 11th and 12th, 2017, this ongoing project challenges UVA students to work with visting fellows from Germany and UVA faculty to consider how societies teach and memorialize the past. Through art, activism, and scholarship, students address difficult chapters of history from slavery and segregation in the United States to colonialism, genocide, and dictatorship in Germany. This initiative also provides students and the wider Charlottesville community an opportunity to engage in constructive dialogue on the topic of historical inequality, injustice, and responsibility. 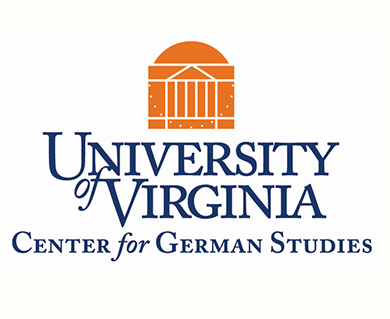 Co-sponsored by the Center for German Studies and the Collective Response: Moving Forward Fund at the University of Virginia. Personally, I believe that the purpose of history is to help us learn for the future. UVA must not ignore its racist roots if it hopes to understand and correct the current climate. When I think about UVA, I think about a resilient community, not one of fear and shame. Together with German theater director Christine Umpfenbach, UVA theater students explored how documentary theater can be a tool to help communities uncover different perspectives of shared, traumatic events, and to build empathy across different backgrounds. Students then created their own documentary theater pieces about the white supremacist attacks on August 11th and 12th. The scripts are based on interviews with Charlottesville residents and members of the campus community as well as personal reflections on their own experience of the events. The resulting documentary theater pieces were performed in a small reading. So my blinds were up and I had my Quran in my room and you can see it through the window. And I had this… incomprehensible feeling. Charlottesville community member Geri reflects on the events of August 11th and 12th, 2017, in this documentary theater piece by UVA student Savannah. This is Charlottesville, Virginia. 2017. I don’t understand how this happened. I don’t understand. I just don’t understand how there isn’t room for everybody. Whatever that was, that’s not my home, that’s not my UVA, that’s not my college town. You can’t really move forward without knowing the true story of your past. We don’t live in a black and white world where everything is a textbook straight answer. We are human beings, and there is always a gray zone, never a fine line. We believe the contrast of the images separates the two movements in viewers' minds. It puts white supremacists in the dark, as in the past, and the counter-protesters in the light, representing the future.